My collection of mac and cheese packages began during my university days. Macaroni and cheese was a diet staple in those days. That was more than 28 years ago. Today, a package of Kraft Dinner, KD as we call it, is a treat, not a regular menu item -- a 50-something body just doesn't metabolize white pasta in the same way as it used to! For mac & cheese enthusiasts who are a bit older and watching their weight and concerned about their health, the good folks at Kraft and other manufacturers have whole wheat versions as well as no-wheat versions. And how about Kraft Dinner made with vegetables?!? Yes, Kraft Dinner is available with pasta made from a blend of wheat and freeze-dried cauliflower. Called KD SMART, it takes macaroni and cheese one step closer to a guilt-free pleasure. If you're interested in a brief history of Kraft Dinner (aka Kraft Macaroni and Cheese Dinner), check out this IDSGN blog. And if you're a real Mac and Cheese lover, you might want to get a Mac and Cheese Laptop Cover or a Mac and Cheese phone cover. The images in the gallery represent all the unique package covers in my Kraft Dinner collection and macaroni and cheese collection. The actual collection contains hundreds more macaroni and cheese package covers. And yes, I've eaten all or a portion of every one! 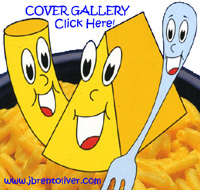 Click on one of the samples below to see the entire collection of over 550 mac and cheese box covers!